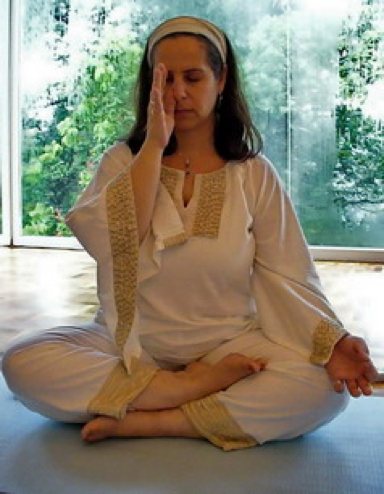 Linking breath to sound through postures and movements is a central aspect of Kundalini Yoga. 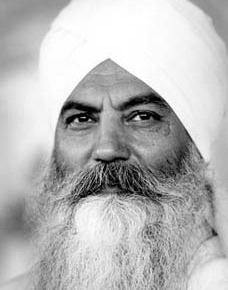 Kundalini yoga as taught by Yogi Bhajan® is based on kriyas (specially formulated sets of exercises) which allows you to target specific benefits and work on those specific aspects of yourself – body parts/systems/functions, mental, emotional aspects – and active meditations using mudras, body locks and sound. Pranayam – is a central tool. It can be used as such or during an asana. As a consequence it increases oxygen capacity, boosts blood flow, balances the Glandular System, strengthens the Nervous System, and reduces stress-induced toxins such as Adrenaline and Cortisol. The effect is a heightened self-awareness and vitality that allows you to harness mental and emotional energy. Individuals feel more in control of themselves, with enhanced peace of mind, concentration, and a deep inner calm and self-confidence. No matter what someone’s age or physical capacity is, Kundalini yoga and meditation can have immediate benefits. Any amount of time spent practicing – whether three minutes or an hour a day – produces significant effects, and in return, motivates individuals to dedicate more time to its’ practice. Meditations can be silent or using mantras, still or active, incorporating mudras, locks, tongue, eyes…and breath. 10 classes pass: 300 SGD. Last minute cancellation will be counted.